For some people, antidepressants can be a key part of treating depression. They’re designed to balance chemicals in the brain that affect mood and emotions. Holiday party invitations are starting to fill your inbox and Christmas cheer is everywhere, but you feel anything but merry. This is what it’s like when you suffer from social anxiety, and the holidays can be one of the worst times. Family gatherings mean small talk, parties are filled with strangers, and everywhere you turn there is a crowd. The stress this brings is more than just a bit of nervousness or feeling like an introvert. People with social anxiety actually fear an event. You may feel judged or scrutinized by the people around you. 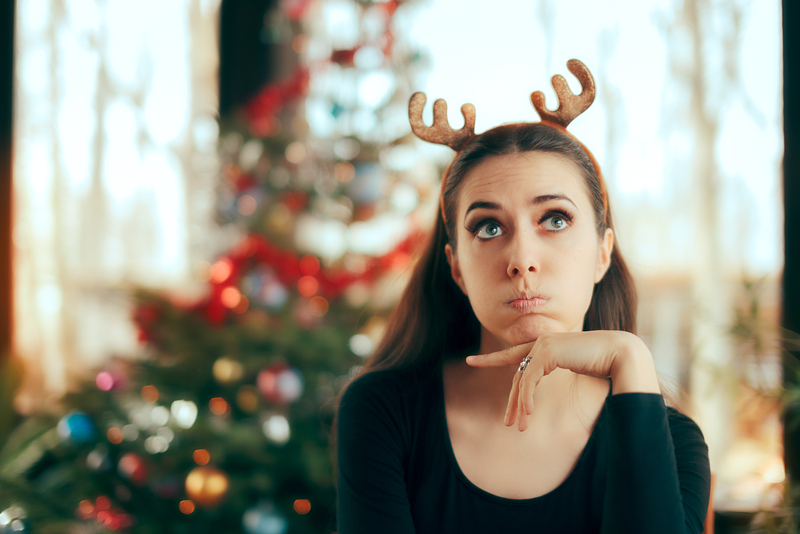 There are ways to deal with your anxiety and make the holidays a little more manageable. People with social anxiety often worry about the “What If’s” before they get to an event or crowded location. – What if someone wants to have a long conversation? – What if they don’t like me? – What if I say something silly? Instead, focus on things that you can control. Try to have a positive attitude and go into a situation with a game plan. Determine what it is that upsets you during the holidays. Break down your concerns. Instead of looking at the bigger picture, this can make the holidays less overwhelming and easier to tackle. Share your fears with a close friend or family member. They can help you create a buffer for difficult interactions. Instead of internalizing your worries, offer to help your host with any prep work for the party. This can help get rid of any negative feelings that you are associating with the event. Foods that are high in sugar, fat, caffeine and alcohol can play a role in anxiety levels. Making smart food and drink choices can help you manage your fears. In addition, don’t drink too much alcohol putting yourself in a position where you are not in control. Alcohol can also trigger panic attacks if you suffer from anxiety. No one is paying attention to how you look or talk. Often others feel the same way as you. When making conversation be sure to ask questions. This is a good strategy if you do not know someone well. Plus, most people enjoy talking about themselves so they will likely carry the conversation for you. Overcoming small challenges can add up to significant progress in the long run. Consider a treatment program for social anxiety before the holidays hit in full force. While it’s difficult to reach out for help, it can lead to recovery. Treatment at Growth Extended can help you learn to manage your social anxiety through an approach tailored just for you. If you are ready to take the first step towards treatment, contact us today to learn more about your options. PreviousDoes Medication Help with Depression?